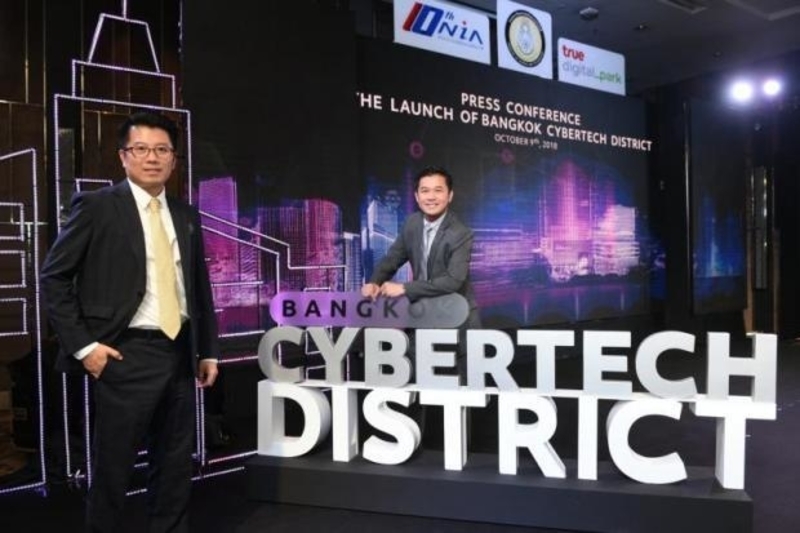 According to a recent report, The National Innovation Agency (NIA), in collaboration with True Digital Park, has launched the Bangkok Cyber Tech District, which aims to house more than 20,000 start-ups. Located in Punnawithi, Bangkok Cyber Tech District at True Digital Park is located on 200,000 square metres, considered the largest start-up park in Southeast Asia, according to the president of True Digital Park. The district will ensure a complete platform under the concept of open innovation, which supports multinational tech companies, start-ups and entrepreneurs, universities, venture capital firms, investors, and public agencies, he said. The result will be the transfer, sharing and integration of knowledge in the digital sphere that contributes to innovation, operational support and a digital-centric lifestyle. A major American multinational technology company that specializes in Internet-related services and products plans to set up an academy within the tech park and more tech giants are expected to announce their plans next month, said the president of the tech park. The first phase of the digital park is scheduled to open at the end of this year, with the second phase a few years later. The park is expected to support 20,000-30,000 start-ups, it was noted. The executive director of the National Innovation Agency stated that the district will serve as a landing pad for foreign start-ups and a launching pad for local start-ups. It will not only serve as a centre for digital innovation and support the next-generation workforce that is connected and in tune with more digital lifestyles, but it will also be a comprehensive innovation district offering a complete system that supports start-ups in Southeast Asia, attracting both domestic and international businesses to Thailand, it was noted. This includes capital, knowledge and people, which should help businesses thrive in the right environment, allowing them to compete globally. Moreover, the National Innovation Agency expects to draw some 50 international start-ups to the district in the first phase, facilitate their smart visas and help them manoeuvre regulations. The NIA plans to set up a Start-up Thailand Center on 200 sq. m of space to provide facilities for Thai and foreign start-ups in Thailand. The centre will include a co-working and event space, private offices and a special platform to promote and support new start-ups, helping them to succeed at the international level. The objective is to encourage and develop increased know-how among the talented workforce, but also integrate the old and new economy and drive technological developments. The Minister of Science and Technology noted that Bangkok Cyber Tech is a key game changer for Thailand’s economy, which should improve the competitiveness of start-ups and SMEs. The Cyber Tech District will foster area-based innovation for high-skilled talent that reflects concrete collaboration of public-private partnership. Establishing this park can be seen as a move to help manifest the goals and objectives laid out in Thailand’s smart city initiatives, with its mission being to promote Thailand’s economy and society through digital transformation. One of the ways in which the Thai government plans to execute their vision of a smart city is by developing digital economy promotion strategies in accordance with the national policy and plan regarding the digital development for economy and society. A perfect example of this would be the Bangkok Cyber Tech District.